The condo that designer Eugenia Triandos worked on in the Tour des Canadiens building was as close as she’s ever come to a dream project. And not because she’s a hockey fan – she’s absolutely not. 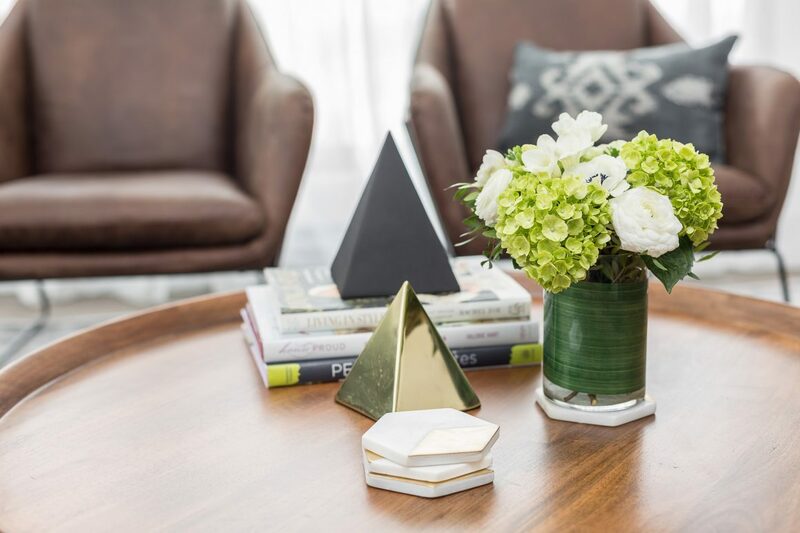 The overwhelmed (by her own admission) homeowner found herself struggling with the decor after purchasing a condo in the 50-storey tower in downtown Montreal, adjacent to the city’s Bell Centre, which represents the heart of this hockey-loving city. 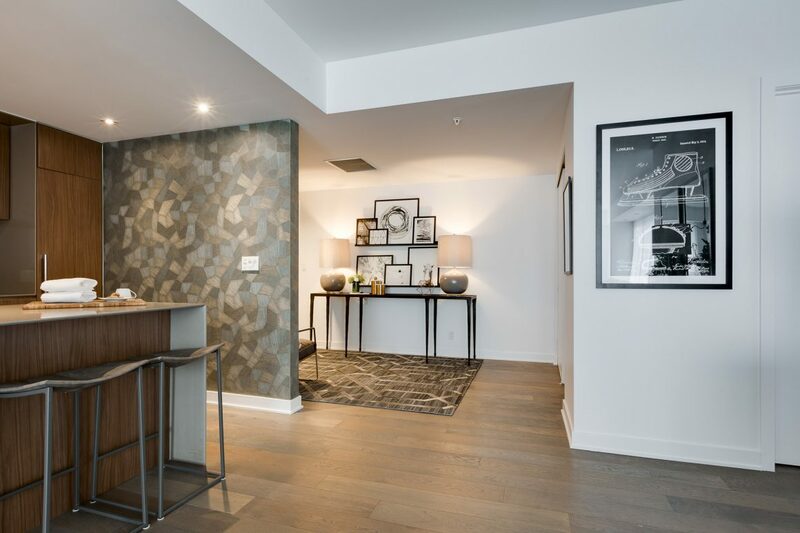 Designer Eugenia Triandos set the sophisticated tone for the downtown condo in the entry hall. She used a jazzy geometric wallpaper, which is carried into the kitchen area. She also underscored the area with a similarly geometric-patterned rug, and created a funky wall piece with a console table, two lamps and some prints. 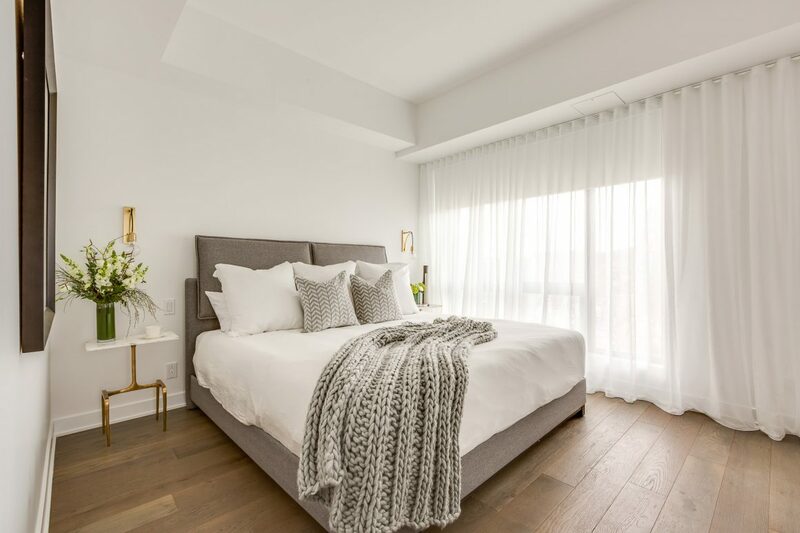 So when Triandos, co-owner of Hibou Design and Co., said she could outfit the condo with everything from dishes to towels, the homeowner was absolutely delighted. 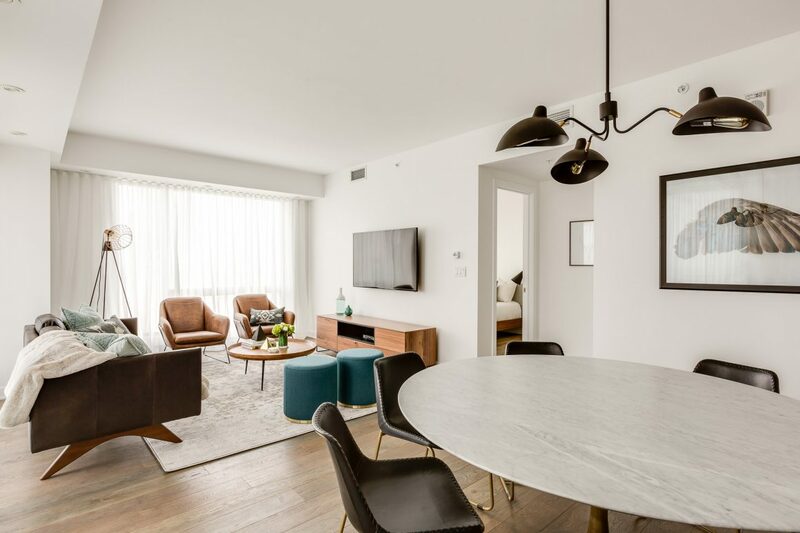 Triandos, who was equally delighted, was given a job that didn’t have the constraints of most projects: namely, the owners use the condo to stay downtown when there are hockey games, or to provide lodging to clients who are visiting. 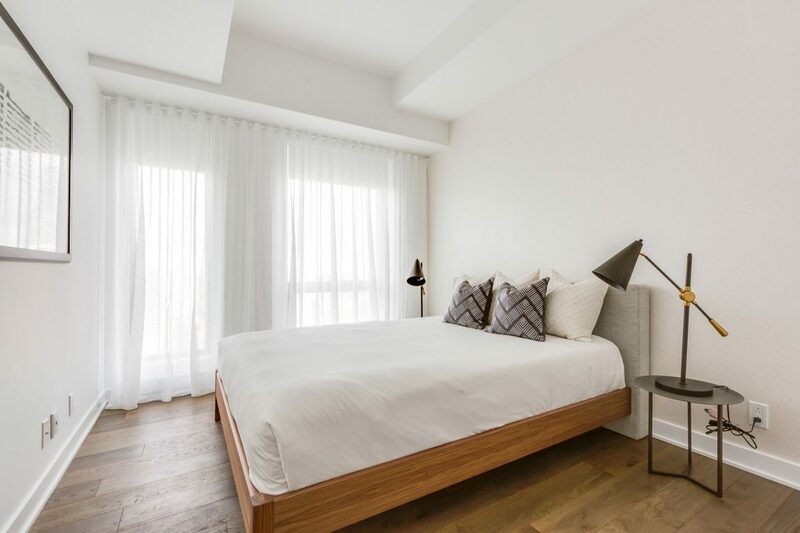 Because this was not going to be a full-time home for the owners, the question of creating storage space was not critical, as it generally is in condo renovations. Instead, the focus was on design. “This was a really fun project where we could choose the pieces that really spoke to us,” she says. The one condition from the homeowner was that the decor be a bit masculine. What Triandos came up with is a modern, chic space that has the feel of a luxe hotel suite. 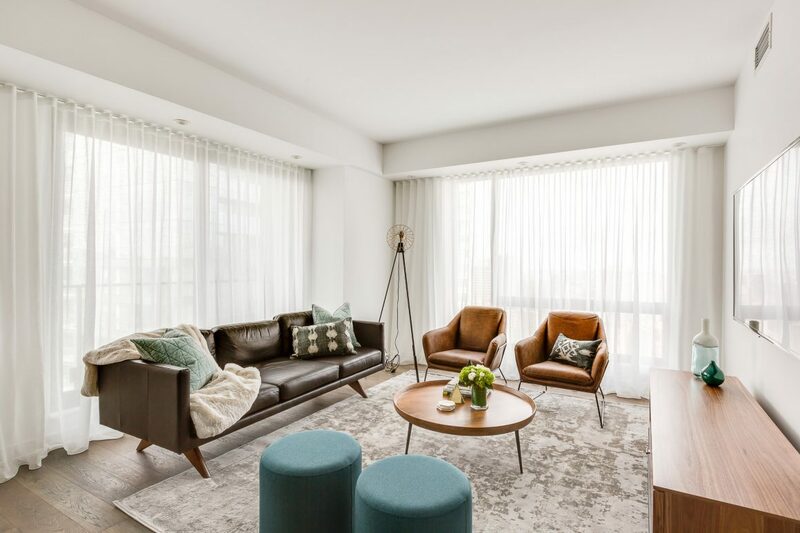 All the leather she used – the tan leather armchairs, the leather dining chairs with baseball stitching from CB2 in Toronto, two area rugs in the entrance and master bedroom that are a mix of cowhide – really helped achieve that goal of creating a masculine look. 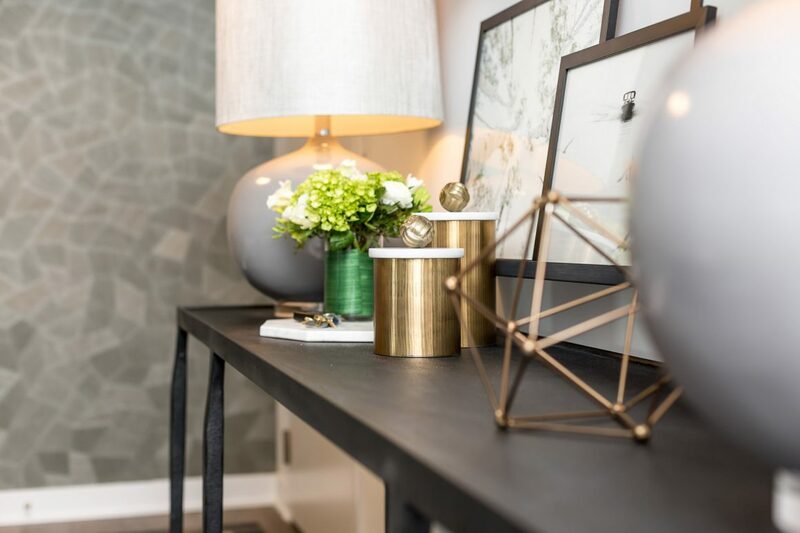 She loved the look of neutral tones with just a few additions of colour, and with some carefully placed geometric wallpaper to provide pizzazz. 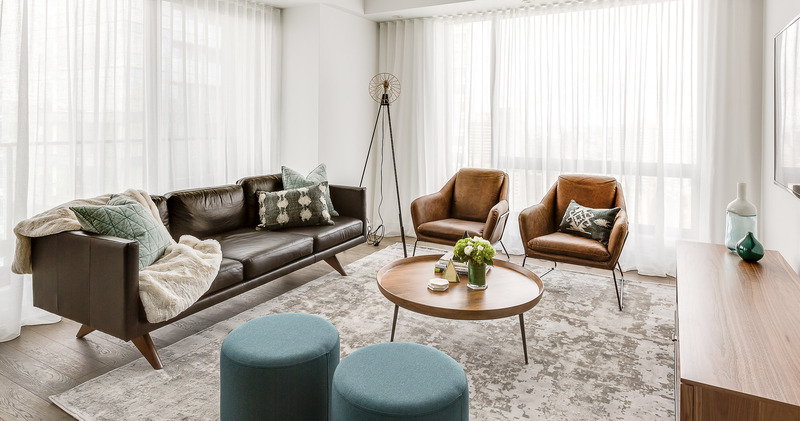 The layering of various textures also gives the condo a richness – oiled wide-plank oak floors were the base for an interesting mix of leathers, linens, cowhide and marble. 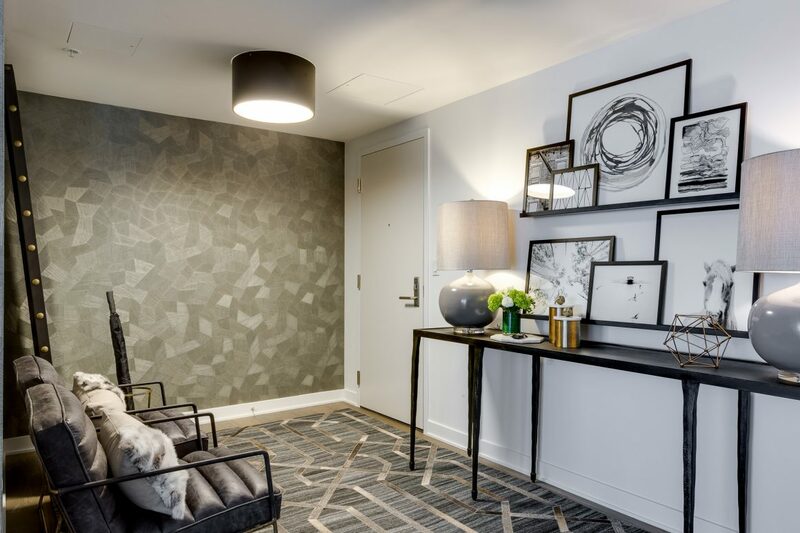 She set the design tone for the condo in the wide entrance, using wallpaper that carries over into the kitchen area, and creating a funky and unusual wall display with a table, two lamps and artwork. The marble-topped dining table from Restoration Hardware was a splurge item. Surrounded by leather dining chairs with baseball stitching, it’s a piece the homeowner loves. 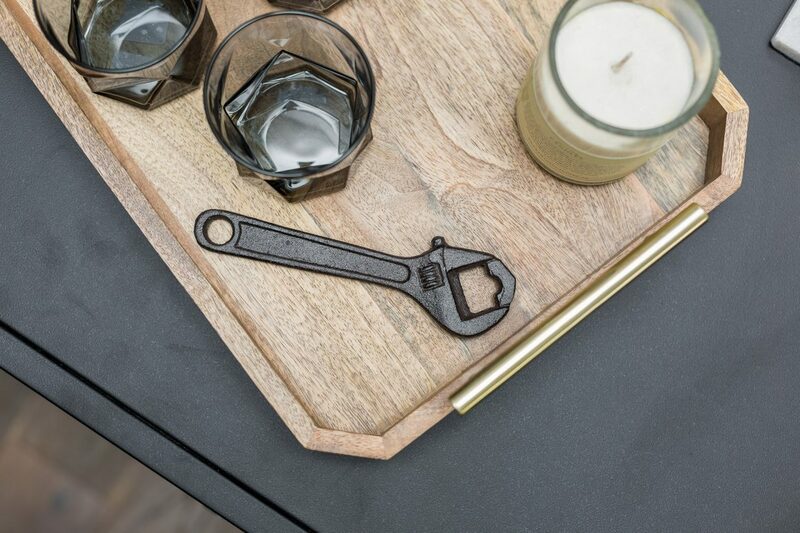 The neutral tones, textures and leather helped achieve the masculine look desired by the homeowner. 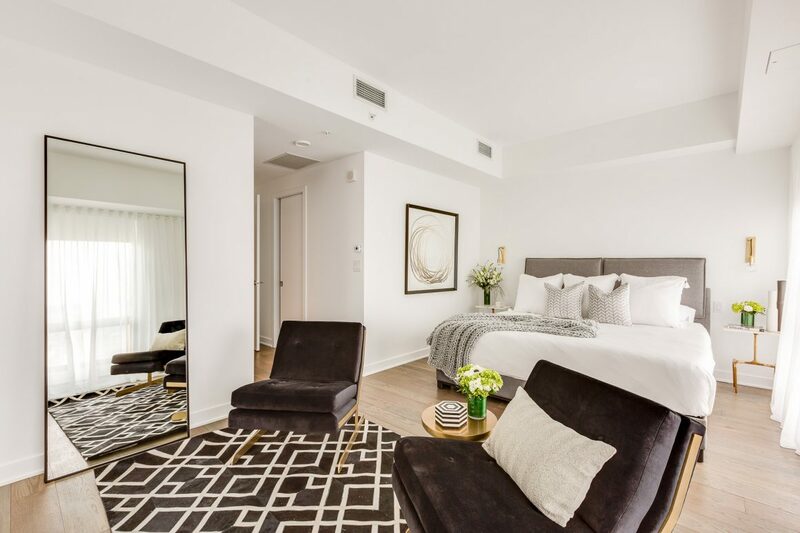 Two oversized mirrors – one in the master bedroom and one in the entrance – bring light and drama to the condo. The black velvet chairs with brass legs make a hip sitting area in the master bedroom and are a contrast to the pale palette of the room. 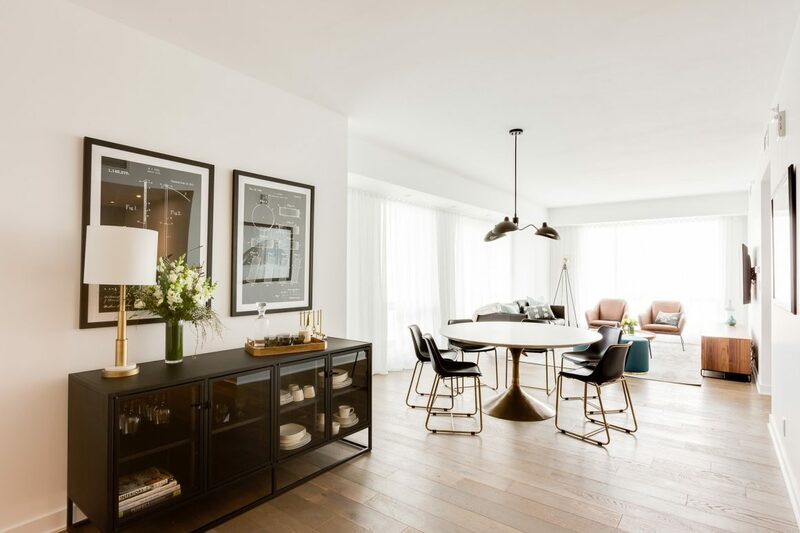 Oiled wide-plank oak floors run throughout the condo, which was designed as a pied-à-terre to use on hockey nights at the Bell Centre or to entertain out-of-town clients. Triandos says the real “wow” effect of the overall result stems largely from having the owner’s confidence and free rein to choose pieces that really inspired her.